The Cherryland Humane Society in Traverse City is in line to receive a $250,000 gift from a Saginaw couple with strong connections to the area. The announcement was made late last week and as of yesterday morning Executive Director Mike Cherry had not heard the news. “I’m in awe,” he tells The Ticker as we deliver the news. Click here for the rest of the story. The list of finalists for the 2014 Ultimate Cat Shelter Makeover includes Crash’s Landing & Big Sid’s Sanctuary of Grand Rapids. Crash’s Landing is a 501(c)3 non-profit organization founded in 2002 by Dr. Jen Petrovich that is “dedicated to finding loving, forever homes for abused, abandoned and neglected cats. 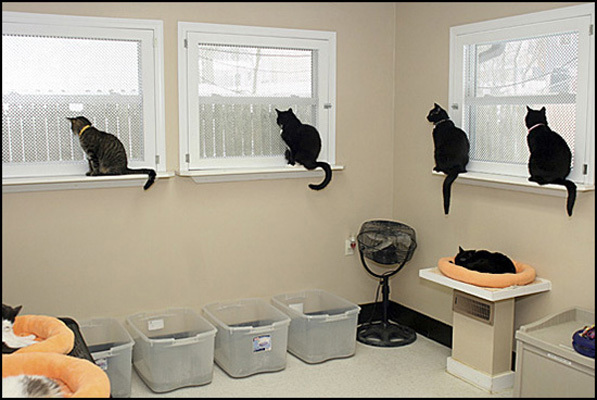 Crash’s Landing is run solely on donations and funds from sponsors and kindhearted individuals.” In existence for 12 years, they house about 260 cats. 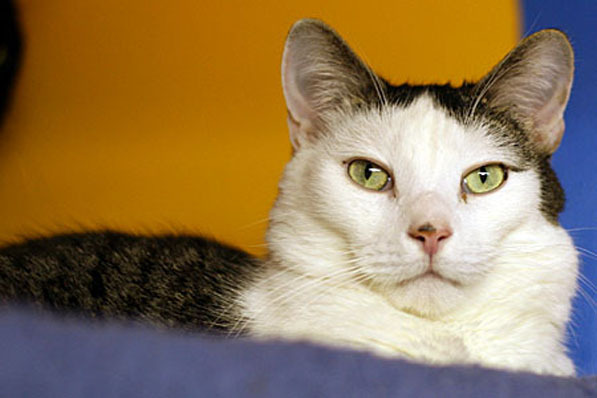 Big Sid’s is special because it is one of the largest shelters in the nation which caters exclusively to cats who test positive for FIV or FeLV. FIV (Feline Immunodeficiency Virus) and FeLV (Feline Leukemia Virus) are viruses that can, if they flare up, suppress a cat’s immune system. One Northern Michigan county’s seeing a spike in a very contagious dog virus. Many veterinarians say once one dog gets it, many others get the virus as well. Mancelona Veterinary Hospital in Antrim County says they’ve dealt with three dogs in the last week or so with Parvo Virus, which is highly contagious and potentially deadly. Click here for the rest of the story. 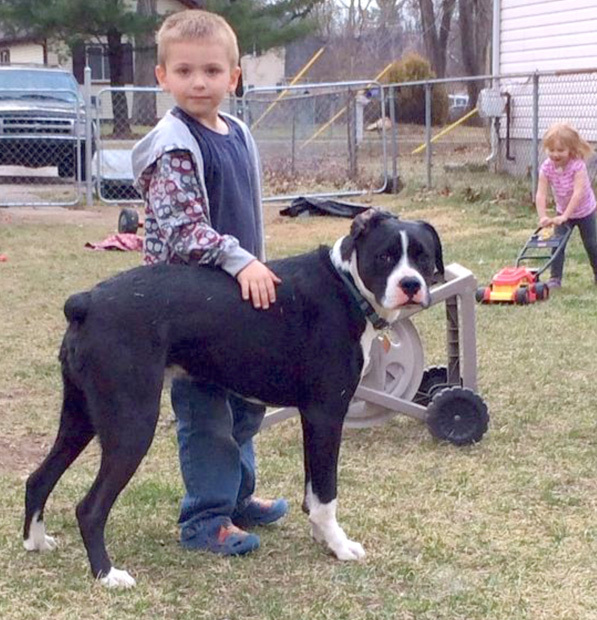 Oreo Kyllonen (with his best kid buddy) was a victim of BSL. Make Michigan Next, a coalition of advocates, citizens and animal welfare organizations, supported by more than 1,000 of the state’s voters, will host a rally on the East steps of the State Capitol in Lansing to bring attention to discrimination against dog owners and the need to eliminate all public policy that discriminates against particular dog breeds. Breed Specific Legislation (BSL) or breed discrimination refers to any law that bans or restricts certain types of dogs based on their appearance. It does not take into account a dog’s actual behavior nor do these laws consider the environment in which a dog lives. Studies have shown that dog owner (mis)management is frequently the cause of dog bites. Dogs that are not properly socialized or trained and that are often confined or chained in an outdoor area are often implicated in dog bites. These are often the events that trigger breed-specific bans at the municipal level. 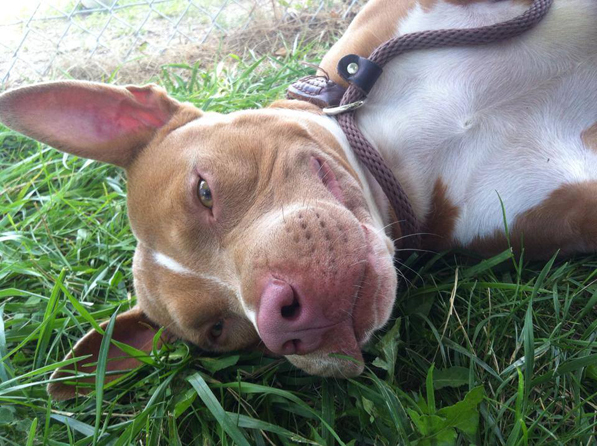 Robin is a great boy up for adoption at the Genesee County Animal Shelter, a very high kill shelter in Michigan. Robin loves kids and is a great, loving boy. He’s in cage 172-170. Photo credit: Genesee County Animals in Need of Homes and Rescues Facebook page. At least 34,973 cats and 22,909 dogs lost their lives in Michigan in 2013 at county run and private animal “shelters” who refuse to implement successful No-Kill programs which would keep these animals alive and able to be adopted. After returning some of the stray pets to their owners, state shelters killed 33.6% of the dogs and 39.4% of the cats they had a responsibility to care for and adopt into new homes. Although the shelter statistics from the Michigan Dept. of Agriculture no longer track how many of these pets are litters (six months or younger), a staggering percentage of these babies have been continuously killed over the years by shelters who don’t spend any time or resources to save them. Troy was this year’s spot for the Michigan Pet Fund Alliance’s Annual No-Kill Conference “Getting to the Goal” on September 4th and 5th, bringing together 250 animal rescuers, shelter workers and volunteers all across the state. 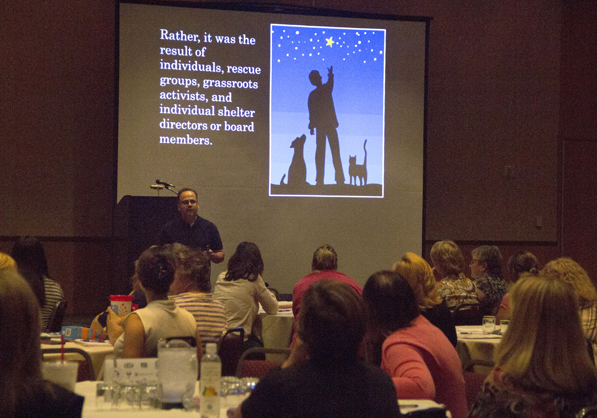 The “Goal” referenced in the title is for Michigan to be a No-Kill state and this conference is a combination of networking between the groups and conference seminars to educate and inform animal rescue advocates on how that can happen. No-Kill shelters are defined by most in the animal rescue community as a shelter who does not kill for space – they do not kill adoptable animals, pets who can be medically and behaviorally rehabilitated and adopted. These shelters have a 90% and higher save rate. Coincidentally, about a week after this seminar took place, it was learned that Michigan Senator Steven Bieda along with many other Michigan senators introduced Senate Resolution 0178 – No-Kill Legislation – on September 11th, 2014. Their resolution encourages Michigan animal shelters and pounds to adopt a “No-Kill” philosophy in dealing with homeless pets. You can see that legislation here. This bill has bipartisan support with seven Republicans and five Democrats listed on the bill as sponsors. SR 0178 has been referred to the Committee on Agriculture. You can find out how contact them here with your support. You can also find out how to contact YOUR Michigan State Senator to support this bill here. 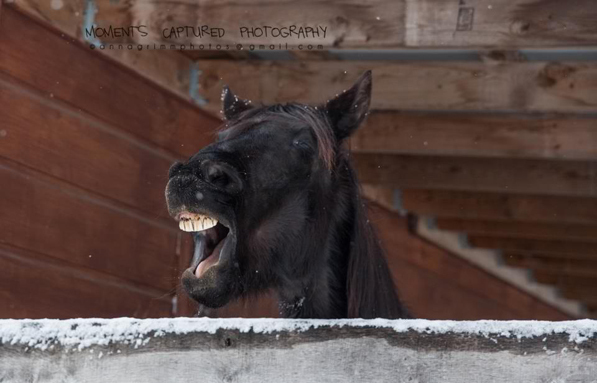 Midnight, a Friesian horse, came to PEACE Ranch as a five-year-old in September 2011 and was quickly dubbed “Knight” for his courageous and valiant spirit. Peace Ranch was the perfect place for Knight. Peace Ranch is a faith based equine assisted therapy center founded on the belief that there is great potential for healing in the parallel process of Rescue, Rehabilitation and Restoration between horses and humans. They rescue horses and they rescue people. A five-month old puppy is recovering after it’s owners say he was attacked by two large dogs on Sunday, September 31st at the Bay Hill apartment complex in Traverse City. The alleged attack happened around 11 a.m. The owners of Otto, a 5-month old lab mix say they were letting him outside to go to the bathroom, and say that he got curious about two larger dogs walking by. Otto’s owner, Ivor Christiansen, says the other dogs appeared to be pit bull-mixes, and had leashes. Click here for the rest of the story. Help is Needed Now to End the Gassing of Michigan’s Shelter Pets! The Michigan legislature will come back from its summer break on September 9, then it will have only a few months to pass Grant’s Bill, SB 354 before the session ends in December. This bill, which would end gas chamber use in Michigan shelters, has already passed the Senate unanimously, but it is now sitting in the House Committee on Local Government. If your Representative is a member of that committee (which includes Reps. Amanda Price, Dave Pagel, Kevin Daley, Ray Franz, Peter Pettalia, Pat Somerville, Bruce Rendon, Joseph Graves, Woodrow Stanley, Brian Banks, Alberta Talabi, and Robert Kosowski) please call her or his office to politely request that they support SB 354 when it is heard again in their committee. Find your Representatives at http://house.mi.gov/MHRPublic/, and more info about Grant’s Bill is at http://michigandersforshelterpets.org/grants-bill/. We can do this if we all work together! People who have lost a pet are not rare, but the way they grieve the loss of a furry friend can make them a rare breed. Those interested in taking an hour to memorialize a lost pet can do so later this month. There’s plenty of time to submit a photo to be included in a memorial service set for Saturday, Sept. 27, from 1:30 – 2:30 p.m. at the Cherryland Humane Society. The event will be appropriate for all ages, according to organizer, Kerri Collier, owner of Great Lakes Pet Memorial in Traverse City. From TV 9 & 10 News..
A new way to protect Leelanau County K9 dogs on hot summer days. It’s a vehicle heat sensor device. 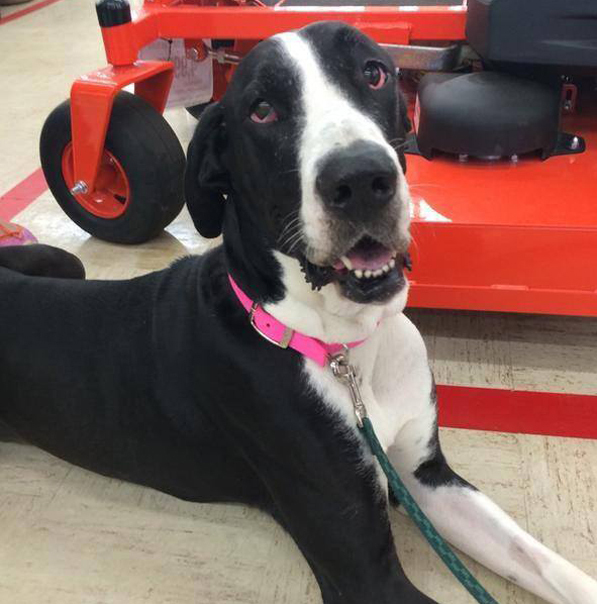 The Grand Traverse Kennel Club donated one to the sheriff’s department. It’s kept inside the patrol car. If the vehicle gets over a certain temperature, the officer will be paged, the car windows will automatically roll down and the car alarm will go off. Leelanau County Dispatch received a call from a Kentucky woman Tuesday at 9:11am that her Labradoodle had fallen into a well on W Whisperwood Dr. near N Scott Hill Road in Suttons Bay. Suttons Bay/ Bingham Fire Department and Leelanau Animal Control responded to find the 60 pound dog 10-12 ft. down a drain system pipe that was part of the subdivision drainage system. The cover for the 2 1/2 ft. pipe had been removed, possibly by thieves wanting the metal for scrap. Firefighters were able to secure a life jacket and a rescue line around the dog and hoisted it up to safety where it was reunited with its owner. The dog had a small laceration on its rear leg which the owner was going to have checked with a local veterinarian. The owner said she was walking the dog on a leash and took the leash off to let the dog run. She said the dog wandered off out of sight and she then heard the splash of the dog hitting the water at the bottom of the drain pipe. She was given a warning for having her dog off leash. A dog might be a priceless commodity to an owner, but to a crook the puppy could be worth several hundreds of dollars. Mount Pleasant Police are still on the hunt today for two men officers say held up a woman at knife-point and demanded cash. 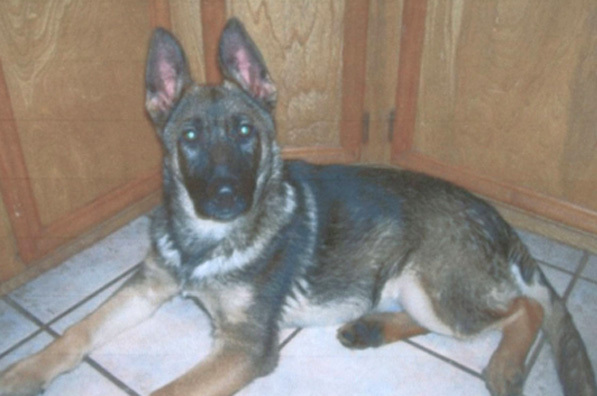 She didn’t have any, so the crooks snatched the next best thing: her five-month-old German Shepard puppy, Awol. Click here for the rest of the story.